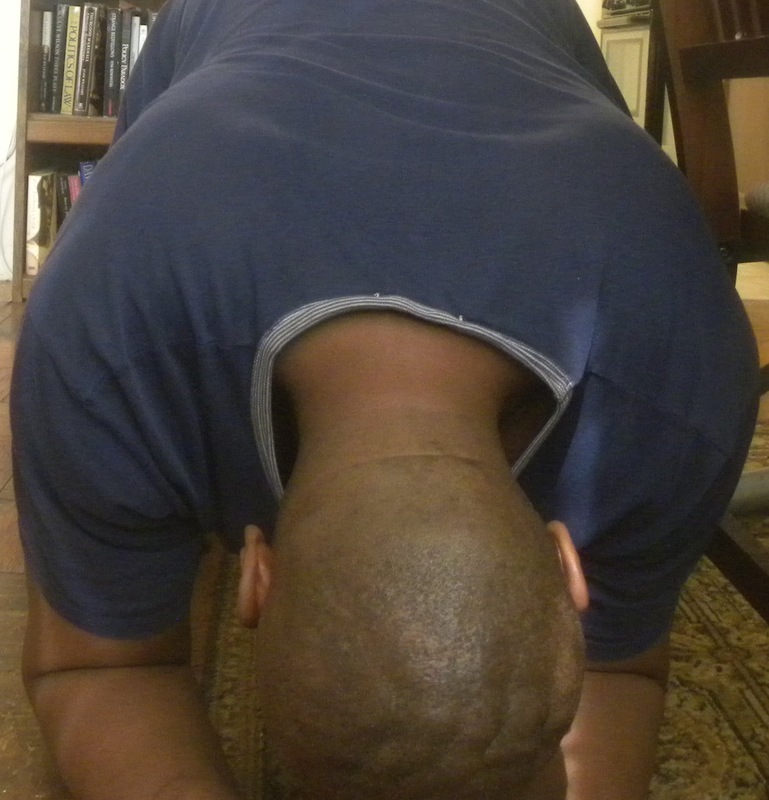 The full prayer kneel, April 8, 2014. (Donald Earl Collins). No, today’s not my thirtieth birthday — I’m still forty-four and twenty months away from entering middle age. But, it has been thirty years since I converted to Christianity, two weeks before Easter Sunday ’84, sometime between 8:55 and 9 am. You could say — and many would — that this marks three full decades since my spiritual rebirth, a milestone as significant as my birthday on the final Saturday of the ’60s at Mount Vernon Hospital. In many ways, it was a renewal, a reboot, a beginning of sorts. To claim control over my life and my destiny, at least, as much control as I could muster. In the past thirty years, the issues of control and perfection, faith, knowledge and wisdom, and the expectations I have of myself, my God and those who either don’t see God as real or as real to me have remained constants in my life. Perhaps this has been because of how I became a Christian in the first place, a bit more than three months after an aborted suicide attempt on my fourteenth birthday. With my abusive stepfather Maurice and his insistence that we were Hebrew-Israelites, I couldn’t be open about my conversion or the thought and faith process that led me to Christianity. At least, I didn’t feel strong enough back then to be open about it. I remained a clandestine Christian for five months before I stood up to the idiot after my first day of tenth grade — my first time not wearing my kufi since sixth grade — and dared him to kill me. He didn’t, and it was my first full victory against my stepfather. As for my classmates, the splits between the denominational Christian, agnostic, atheist and Nation of Islam sets were ones I’d become aware of long before my conversion. And, by tenth grade, it was obvious that many of my immediate Humanities classmates were about as accepting of the spiritual as Bill Maher and the late Christopher Hitchens. Maybe not openly so, but the barrier of intolerance and disdain was there. 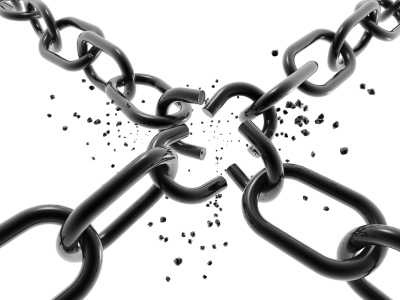 Break the chains, April 8, 2014. (http://www.flrministry.com). Over the years, my walk with Jesus’ life, death and resurrection has grown more complicated, with euphoric highs, quiet lows, and periods of almost evangelical revival along the way. Still, I remain faithful, even as I remain disillusioned, about my life, humanity, the universe and the afterlife. I still pray, and believe that God listens to my prayers, but understand that prayer without action is tantamount to talking to myself. “Faith without works is dead,” is what the good book actually says. Unfortunately, there are way too many alleged Christians in exalted places and in positions of power who practice neither faith nor the works of Jesus. All they do is talk about their Christianity while acting like pagan Roman emperors. I no longer welcome debate about what and in whom I believe. I find those who smirk and call my walk the equivalent of someone with a mental illness or an imaginary friend about as bigoted as a Christian who believes that all atheists are the sons and daughters of Satan. There’s a certain hubris in claiming the nonexistence of the spiritual because the people whom are representatives of the religious are themselves flawed and full of crap. Then, I guess, there’s a certain hypocrisy in the universe, in evolution, in all life, and I don’t think any of us have enough knowledge to be that cynical and nihilistic. I no longer regularly attend church. I’ve been to at least a dozen churches in the DC area over the past decade and a half, and combined, I’ve gotten less out of all of those services than in one service I attended at my mother-in-law’s church in Pittsburgh last September. Heck, I’ve found more wisdom and compassion and realness in some of the courses I’ve taught than at most of these churches. Church is a place for fellowship with other Christians, but I have a hard time with my own contradictions, much less those of others. 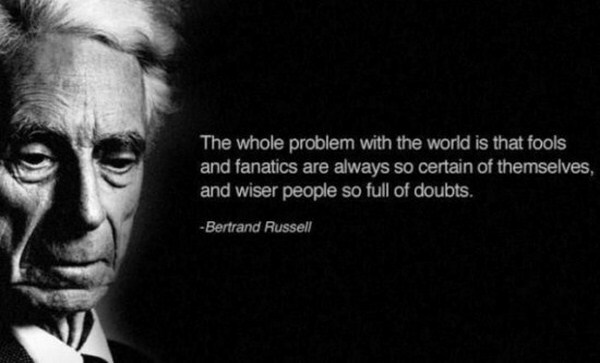 Bertrand Russell wisdom quote, April 8, 2014. (http://izquotes.com). For my son Noah’s sake, though, I want to find a place or two where we can feel comfortable exposing him to Christianity. Places where the hypocrisy quotient isn’t so high, and with the understanding that this is a long spiritual walk, not a magical carpet ride of infinite miracles and treasure chests full of gold. I’m tired of the megachurches, the Gospel of Prosperity, the overly emotional, the attempts to strangle human behaviors, and the endless predictions of apocalypse based on homophobia, misogyny, Whiteness, and a terrible understanding of history. But I do have a one-on-one spiritual walk that’s mine, that no one — atheist or evangelical — can take away from me. It’s a walk that has taken me far from the despair and abuse of my youth, warts and all. 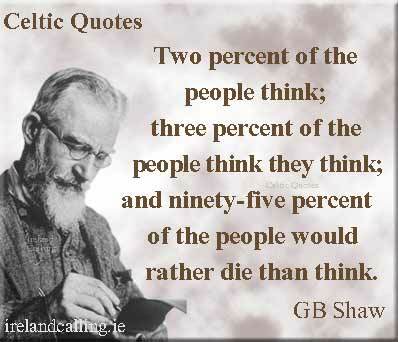 George Bernard Shaw and ignorance, June 2013. (http://www.irelandcalling.ie/). “My people perish for a lack of knowledge,” it seems, is something that anyone can find in almost any religion’s texts anywhere. Heck, depending on perspective, even atheists in general can agree with this statement (of course, the issue would be what constitutes “knowledge”). I read this verse (it’s in Hosea and Isaiah, and versions of it as well as in Jewish texts and the Qur’an) for the first time when I was fifteen in ’85, less than a year after I converted to Christianity. Boy, I had no idea how little I knew about myself, my family and my history when I first read that verse twenty-nine years ago. In light of the end of Black History Month, I wouldn’t be me without noting how little any of us know about our families, our lineages and our ancestors. But it’s not just true of the millions of us descended from West and Central Africans kidnapped, bound, abused, raped and nearly worked to death to provide Europeans (and Arabs) wealth and comfort. Most of us don’t even know what we think we know about much more recent history and events than surviving the Middle Passage or overcoming Jim Crow. 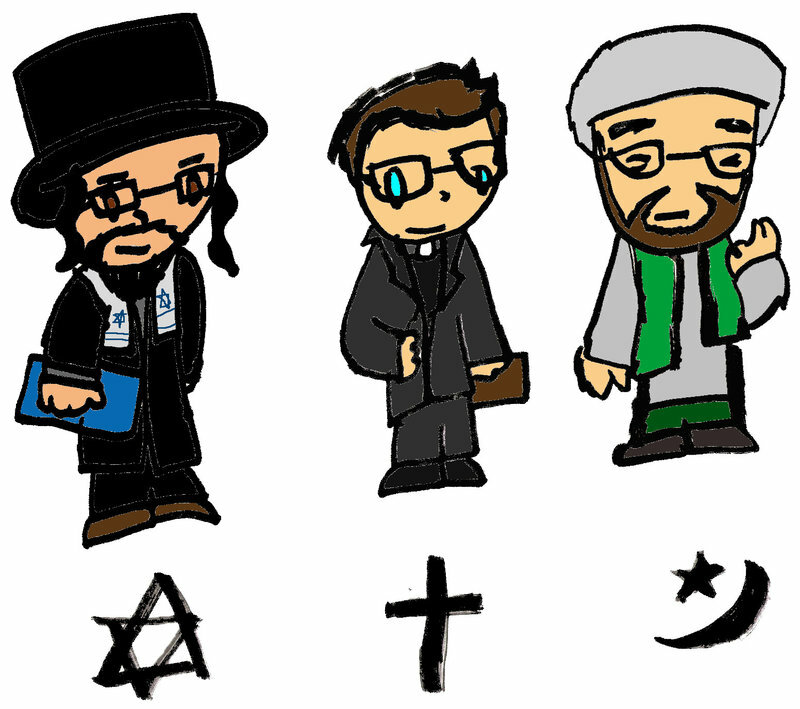 A rabbi, a priest and an imam, 2013-2014. 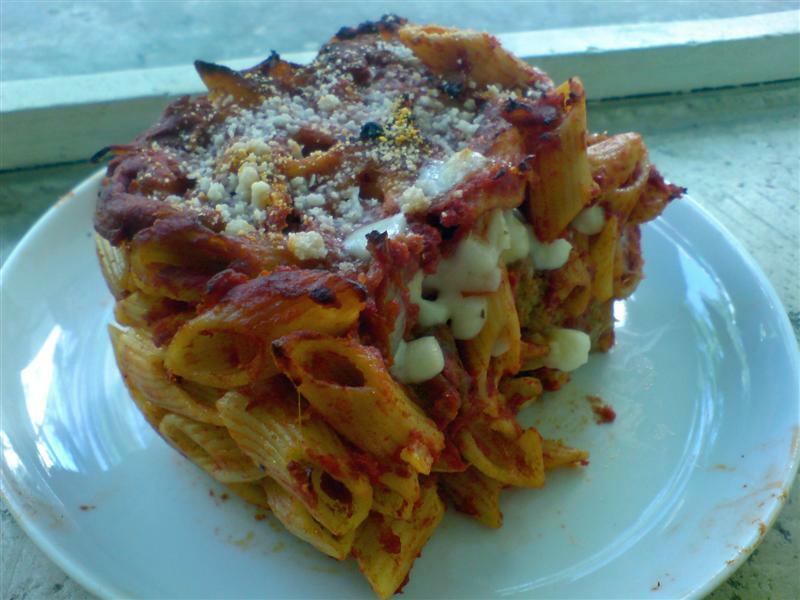 (PizzaSpaghetti via http://www.deviantART.com). For me and my family, I knew so little about us that my Mom could’ve told me that Satan had thrown us out of Hell for being too brown to burn and I would’ve accepted it as an appropriate answer. 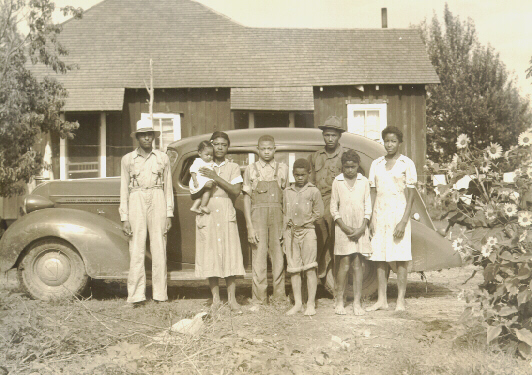 All I really knew of my mother’s side of my family was that they were from Arkansas, that my Uncle Sam (I chuckled sometimes thinking of the irony) was my Mom’s closest sibling, and that they grew up as dirt poor as anyone could get without living in a thatched root hut on less than $1 a day. I asked for more during those rare moments when my focus wasn’t on high school, getting into college and getting as far away from 616 and Mount Vernon, New York as possible. I ended up finding out about how my Mom’s mother once beat her with the back of a wooden brush for not being ready on time for church, that there were years where her father made only $200 total from cotton farming, and that she was the oldest of twelve kids. She had done some form of work either taking care of her siblings, cooking, cleaning, washing clothes by hand, and hoeing and picking cotton, since she was five or six. Oh yeah, and she played basketball in high school. On my father’s side, I knew a bit more, if only because Darren and me went with my father to visit the Collins farm in Harrison, Georgia in August ’75. I was five and a half then, but I do remember the fresh smoked ham and bacon, the smell of my grandfather’s Maxwell House coffee, me being too scared to ride a horse, so they put me on a sow (my brother did ride the horse, though). But what people did, how a Black family owned their own land going back to the turn of the twentieth century, I wouldn’t have known to even ask about at not quite six years old. What I didn’t know until after high school, college, even after earning a Ph.D. in knowing (that’s what a history degree ultimately is) was so much worse than I imagined. To find out at twenty-three that my Mom was a star basketball player in high school. She played center, and led her team to Arkansas’ segregated state quarterfinals in ’65. My Uncle Sam played four sports in high school (basketball, football, baseball and track and field) and was offered college scholarships, but didn’t have the grades to move forward. I learned a year later that my Uncle Paul followed in their footsteps, and played three years at the University of Houston, left early and played for the Houston Rockets in ’82-’83 (not a good year for them, or for me, for that matter) before blowing out a knee and moving into entertainment work. My father’s family — at least the women of the family — boasted at least three college degrees. Two of my aunts became school teachers. My uncles started businesses in Atlanta and in parts of rural Georgia, working their way well beyond the farm to the work they wanted to do. I learned all of this by the time I turned thirty-two, just a year and a half before my own son was born. How many different decisions I would’ve made about my life if I had known that one half of my family was full of athletes, and the other half was full of business owners, not to mention three aunts with a college education? I would’ve known to try out for any sport in high school — particularly basketball — and to not be afraid to fail. I would’ve known that I was only the first person in my immediate family to take a go at college beyond a certificate in dietary science (my Mom earned that in the summer of ’75), and not the first one on either side as I once thought. Most of all, I would’ve known that though I was lonely and played the role of a loner my last years growing up, that I wasn’t alone. There were a whole bunch of people in my lineage, some of whom were alive and well, from whom I could’ve drawn strength, found kinship, felt pride and confidence in, where I wouldn’t have seen myself as an abandoned and abused underdog anymore. If I’d known all this growing up, I wouldn’t have felt and sometimes feel robbed now, by poverty and parenting, abuse and alcoholism. This is why having knowledge to draw from is so important. 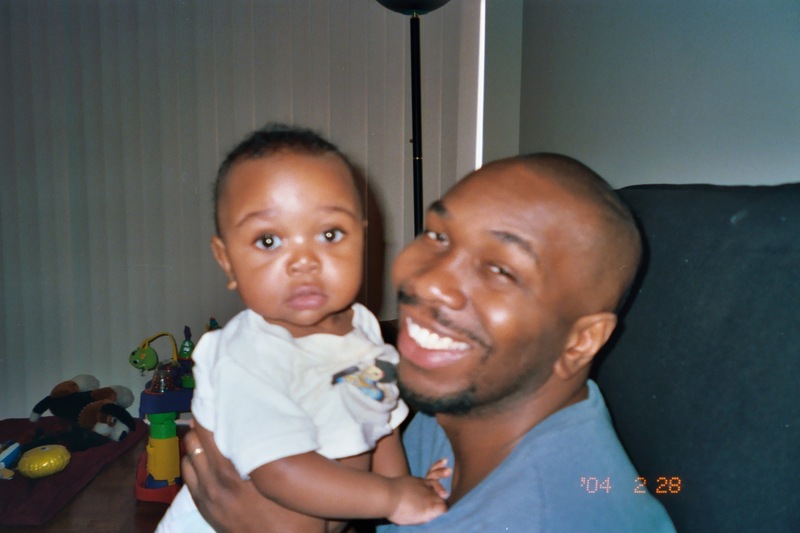 Noah with me, February 28, 2004 [he was seven months old]. (Angelia N. Levy). What I didn’t know across the past thirty-two years could be another book for me. I assume that would be the case for anyone would could look back across their life and second-guess themselves over that long a period of time. For me, though, the significance of today comes out of my mathematics background. You see, today’s my sixteenth PhD graduation anniversary. Not all that significant, I suppose. Except that I’m as far away from the end of my graduate school days at Carnegie Mellon today as I was from the first days of being a Hebrew-Israelite and watching my family fall into welfare poverty when I graduated in ’97. 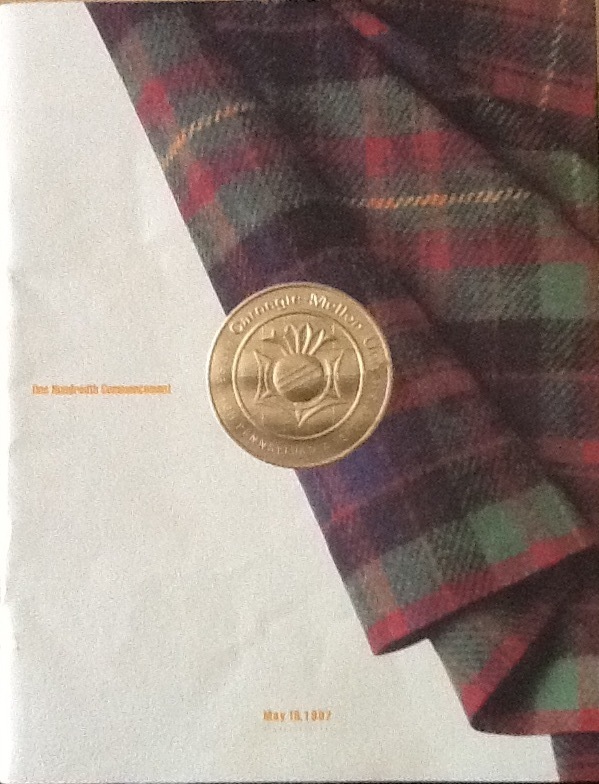 100th Commencement Ceremony program, Carnegie Mellon University, May 18, 1997. (Donald Earl Collins). Two things will hurt your success in this life. One is not acting on the things you know you should or must do. I learned that hard lesson from watching my mother make the decision to not make any decisions until it was too late, all while growing up at 616. Two is the enormous danger of not knowing, and therefore, not being able to act or respond to new or damaging situations as they arise. I’ve learned that lesson pretty well, too. Sometimes the hard way, through really bad experiences or decisions I didn’t play out like a game of eleventh-dimension chess. Sometimes through insight, foresight, even divine inspiration, anticipating what I didn’t know ahead of time. And even with anticipation, you still might not be able to do anything about what you do and don’t know, simply because you’re not in any position to change things. That was especially true in ’81. 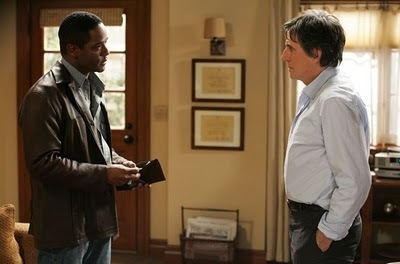 I knew that my now deceased idiot ex-stepfather Maurice Washington was no good. But when my Mom decided to end her six months’ separation from him, there was nothing I could really do about it. I knew that with inflation rates of 14.5 percent in ’79 and 11.8 percent in ’80 (thank you, Scholastic Weekly Reader) and my Mom income of roughly $15,000 per year that we had less and less to work with at home. Again, not much I could do about that, either. Even paper boy jobs were drying up by the time I turned twelve! 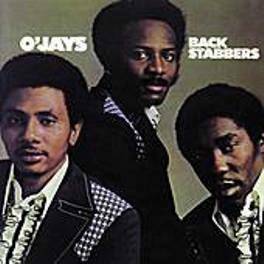 O’Jays Back Stabbers (1972) album cover, November 10, 2011. (Dan56 via Wikipedia). Qualifies as fair use as low-resolution illustration of subject matter. What I didn’t know was how quick and violent the shift into poverty would be. What I didn’t know was that Maurice would use his/our conversion as Hebrew-Israelites as justification for abusing my Mom and me. What I didn’t know was that my Mom would have three more kids by this man between July ’81 and May ’84. What I didn’t know was that I would feel so low about the loss of my best friend and my sense of self that I’d attempt to take my own life on my fourteenth birthday, at the end of ’83. But when I looked back on this in ’97, I mostly thought about the good things that had occurred in the fifteen years between the domestic violence my Mom endured on Memorial Day ’82 and my doctoral graduation ceremony. My independent conversion to Christianity in ’84. Knocking out a 5 on my AP US History exam without ever cracking open Morison and Commager. Overcoming poverty and my lack of self-esteem to build a life at Pitt and in Pittsburgh between ’88 and ’97. Still, I’d already been wounded, badly. By the things I knew but did nothing about. By those things I could’ve anticipated but my efforts to counteract were insufficient. By those things I couldn’t have known at all. I knew I’d have problems with my “running interference” advisor Joe Trotter coming down the dissertation stretch. Yet because of departmental politics and my need to be done sooner rather than later, I did nothing about this until I was six chapters into an eight-chapter dissertation. I knew my mentor and committee member Bruce Anthony Jones could sometimes be unreliable. Yet I had no idea that he would completely abandon me and his other doctoral students the moment he signed his name to my and their dissertations. Most of all, I never anticipated that my Mom would actually be jealous of me, and would spend a whole week with me at 616 and in Pittsburgh doing and saying things to completely disparage what I’d worked so hard for. For me, for her, for my family. That was hard to get over. There are times I’m not sure if I’m entirely over this yet. What I’m sure of in ’13, though, is what I do know, don’t know, and can only anticipate with the wisdom of experience and wisdom beyond my experience. I know that I love my wife, that there’s a lot in common between her and Crush #1 (for those of you who’ve read Boy @ The Window so far, the implications should be obvious), real and from my own imagination. I didn’t know that I’d have a kid, a son who at nearly ten is both wonderful and perplexing, and hopefully, off to a much better start in life than I ever got. I suspect that one of my references for jobs and consulting gigs has been undermining my efforts over the past five years, and have thus removed her as a reference. This weekend should be of significance to me. Actually it should be of more significance than anything else I’ve done professionally in the fifteen years since. For this was the weekend that I decided I was “Dr. Collins,” three and a half months before actually becoming Dr. Collins. I was in the middle of a tumultuous time, caught between Joe Trotter and five years of graduate school, the last three of which had been at Carnegie Mellon. I had just finished revising my first draft of my dissertation, adding thirty pages to an already hefty 475-page manuscript. Me and Trotter hadn’t been getting along for four months, and after two months with my first draft, I’d received a response in mid-July that was disheartening. the Black community in DC, particularly in the period immediately before the 1930-1960 period, had received lots of snarky comments. 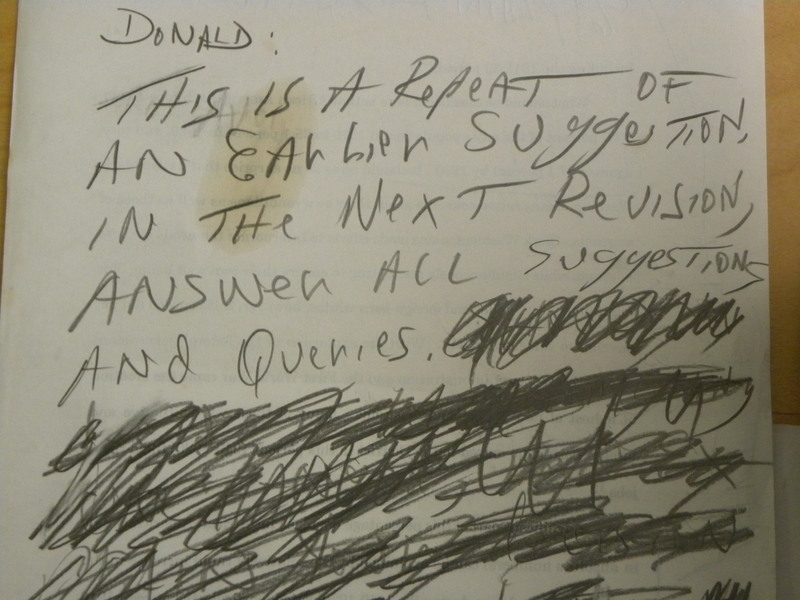 Like “I told you to change this already,” or “This is the third time I commented on this section,” or “Make these suggested revisions on…already,” handwritten in pencil, big, bold and rushed, as if he wanted to stab me in the neck with the pencil. Comments on writing, evidence, to sharpen analysis of my multiculturalism argument, I expected. What I, naive little me, didn’t expect was a series of comments about data and information that, quite frankly, was irrelevant. After talking with a couple of professors who weren’t on my dissertation committee — including one whom himself had been Trotter’s advisor back in the ’70s — I finally figured out what had been eating at the man ever since I began handing him chapters. It wasn’t as if Trotter’s comments were transparent in what he wanted me to revise. He wanted me to put together a proletarianization argument for DC. Bottom line was, he was pissed with me because I had written that the Great Migration period (1910-1930) of Blacks leaving the rural South for the industrial, urban North had little effect on DC, a truly Southern city at the time. I was incensed when I finally figured out why Trotter had been giving me a hard time since last fall and especially since April. It made me think that maybe earning a doctorate in history — especially with him as the head of my committee, along with Dan Resnick and an increasingly distant Bruce Anthony Jones — wasn’t worth it. I thought that if I had to go through another year of this, that I’d drop out of the program. But I’d only do that after giving the revisions one more shot. I addressed every — and I mean every — comment I had from Trotter by email or written out across a page, and then documented every change in a six-page memo of my revisions. I even went so far as to rhetorically fudge the Great Migration period data, just to see how Trotter would respond. 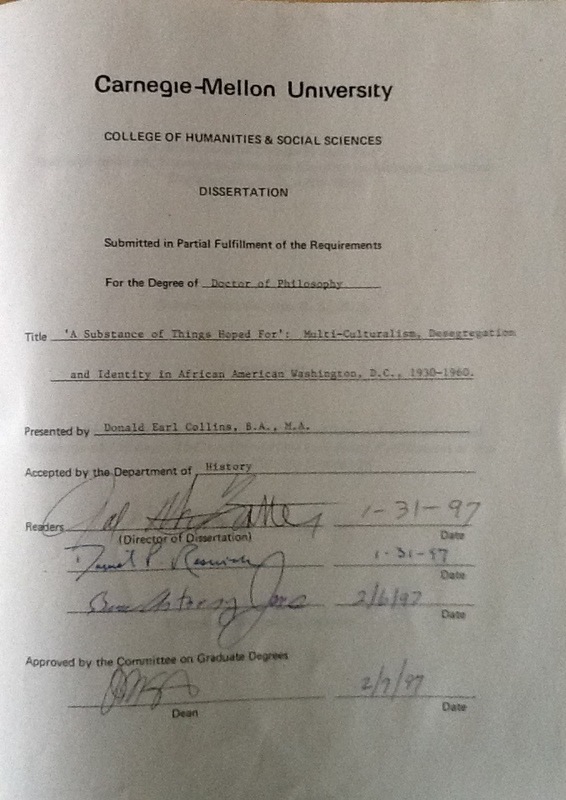 On page 100 of my dissertation, I wrote, “For Washington, a slight acceleration in black migration occurred between 1915 and 1930.” That was an obfuscation, for Blacks migration didn’t “accelerate” until the 1930s, after a twenty-year period of limited migration that only added 20,000 to a Black population of more than a 100,000. Trotter actually praised this revision. I made a deal with myself to quit after another year if this revision didn’t work out. After receiving a response that only required four minor revisions, Trotter made an attempt to remove the one professor I did have in my corner from my committee in Bruce Jones, using Jones’ recent acceptance of a position at the University of Missouri as an excuse. From that weekend in August ’96 until the week before Thanksgiving, everything about my doctorate became a battle with Trotter. In a way, I guess I was lucky it did work out. But now, as I did then, I wonder if it was really worth it, to fight as hard as I did for that degree. Would I be a better writer, a better educator, if I had dropped out of the program, gone back to school, and become a high school history or social studies teacher? At least my employment status would’ve been much more stable between ’96 and ’99 if I had, and I’d have an additional career option now. Even now, thinking about what happened a decade and a half ago makes me clench my teeth, not with anger, but more with a sense of dread and latent rage. What I and at least two other male students went through (as I’d learn later on) was patently unfair. Still, I realize that while I’ve long since forgiven Trotter for his misdeeds, I can’t help but think that professionally, he aged me in my last year in graduate school. The sense of security I felt about my professional future back then was gone, and I don’t think I’ve felt that certain, that youthful, since. I do know this. That that youthful, if somewhat naive, twenty-six year-old still resides in me. But with the mind of a forty-one year-old man, I can use both wisdom and experience to say that I wouldn’t go through that again. I’d either would’ve gone to law school or a school of education, maybe even with a focus on ed foundations and ed policy. As it is, between Boy @ The Window and my recent articles, that’s really what I’m most intellectually passionate about these days anyway. 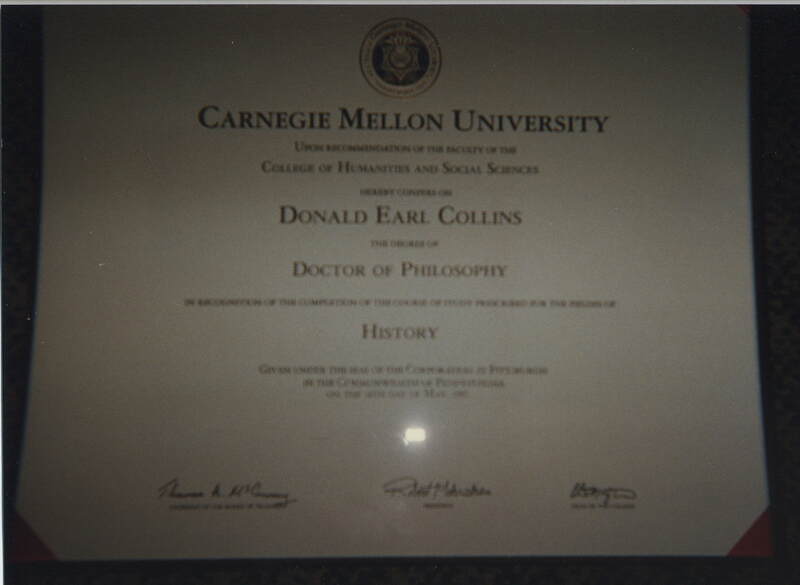 I may be Dr. Collins or Professor Collins, maybe for the rest of my life. But really, I’d be happiest as Donald Earl Collins, the author, educator and troublemaker I believe with all my heart I am and I will always be. 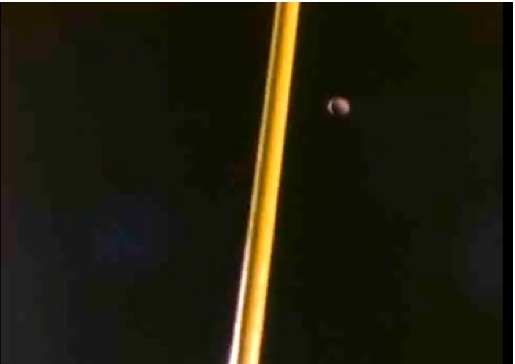 Super Bowl XXV, "Wide Right" Screen Shot, January 29, 2011. This screenshot qualifies as fair use under US Copyright laws because of its low quality and because it is only being used to illustrate the topic of this article. It’s been twenty years and two days since my Giants pulled off the unexpected against the juggernaut that was the Buffalo Bills in Super Bowl XXV. It was the “Stuck In A Moment” (via U2) or “Wide Right” game, when Scott Norwood missed a 47-yarder to end the game, Giants winning, 20-19. It was a great and somewhat improbable moment, given that the Giants were minus Phil Simms and had as much offensive firepower as a firecracker under water. Yet, they somehow pulled it together, with great defensive, good special teams, and methodical, disciplined long drives in the second and third quarters to keep Jim Kelly and Thurman Thomas off the field. There were so many things to remember about that game and day. Whitney Houston’s spectacular performance of the national anthem. O.J. Anderson running three and four yards at a time. Andre Reed having a great game. The fact that the first Gulf War was just a few days old (I didn’t support that war either, but at least it had a real sense of international support). How ridiculous it was that few prognosticators picked the Giants to beat the Bills. Most importantly, my takeaway was that ’91 was going to be a good year. Now just because my original hometown team won. Not just because they weren’t expected to win. But because of the way they won. They played like grinders, with long drives that led to touchdowns, that kept the opposing team’s offense watching on the sidelines. I had used sports as a metaphor for understanding my own life since I was a teenager. With the Giants winning their second Super Bowl in five seasons (or four calendar years), I saw it as a sign of what I needed to do to move forward that year. I already knew that many of my history professors at the University of Pittsburgh thought I was a very good student, but at least three (including one of my letter writers, who told me his expectations of me after the fact) who didn’t think I was grad student material, whatever that means. I understood that I also didn’t want to go into the workforce in ’91 with just a B.A. in history and minors in math and Black Studies. I knew that having the masters or another graduate degree would help, and was still contemplating taking my 50th percentile LSAT score and using it to get into law school. Sometimes I’ve let my enthusiasm for good things in my life get the better of me. Perhaps that’s because there have been few periods in my life where nearly everything has gone the way I’d expect, especially in my Humanities years. One of those times had been in the months before, during and after my conversion to Christianity in ’84. 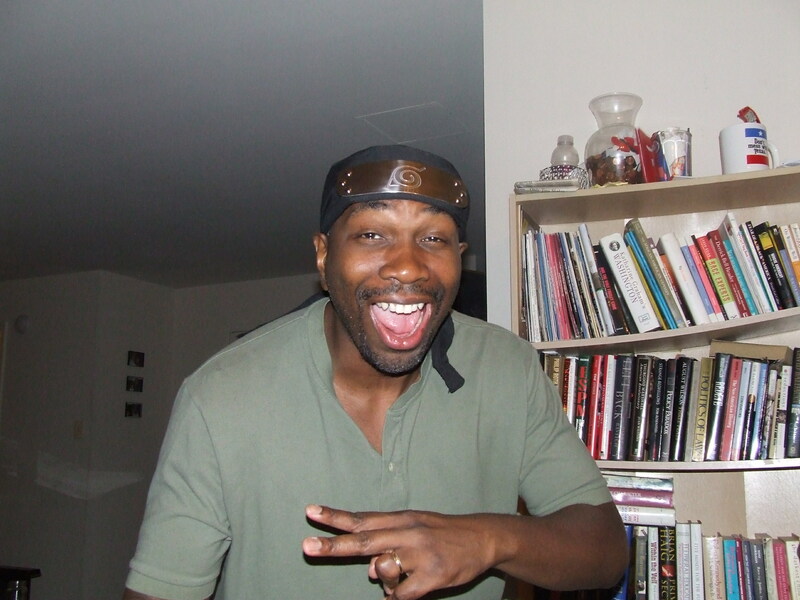 After I outed myself at the beginning of tenth grade as a Christian and stood up (for once) to my idiot stepfather by refusing to wear my kufi ever again, things in my mind had improved. So much so that I was ready for my life to change, as if my conversion were a magic wand and I was Cinderella. My conversion became a badge of honor, my Bible my new crutch in the first few months after becoming a Christian and the beginning of tenth grade. I read it every chance I had. At lunch, in my trips into New York with my father Jimme and my brother Darren, before I went to bed at night. Like a nine-year-old, I so wanted my life to change that I forgot that I still had work to do in order to change it. Prayer and fasting (deliberate, of course, and not the empty refrigerator kind) wouldn’t be enough. But I acted like it was. 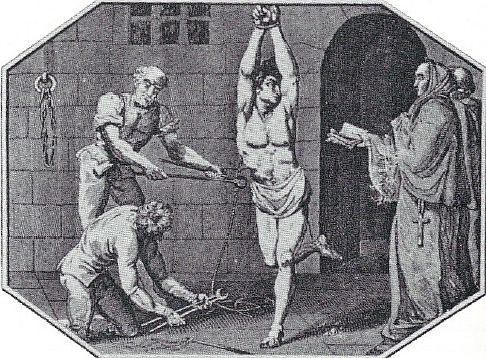 Torture & the Spanish Inquisition (the direction of unchecked zeal). It didn’t help that I had Z as a history teacher, one who almost automatically rubbed me the wrong way. She assumed that she was right about everything and looked like an older, worn-out, schoolmarmish version of Madonna to me, a woman whose best days were long past. She was about average height with blonde-gray hair, which looked like it had been freeze-dried. She dressed like a woman who didn’t realize we were in a public school and who didn’t see herself as a real person. Her voice was a slow-whine Brooklyn-accented version of Cyndi Lauper’s, the kind that made me think that she was talking down to us. It irritated the heck out of me when she’d call one of us “Peaches” or when she’d say, “When they’re slow they’re slow,” a reference to how long it would take us to answer one of her idiotic, non-history history questions. A personable person with emotions and empathy, the kind of person equipped to teach a diverse student body, Z was not. After finishing one of Z’s bubble tests early, fifteen minutes early, as a matter of fact, I handed it in and pulled out my Bible. When she noticed what I was reading, she panicked. “Put that away! Put that away now!,” she yelled from her gray steel desk, exasperated. The exchange we had occurred while other classmates were finishing their exams. She threatened to send me to the principal’s office. I called her an “atheist” and put my Bible away. It was the start of a confrontational relationship between me and her. We got into it quite a few times. One time was over what she was teaching in class, what exactly I don’t remember. What I did in response to it was to blurt out “Is this what you call history? All you talk about is art and music!” She banished me to the hallway outside of class for that one. I called her a “stupid atheist” on my way out. We were both right and both wrong, both arrogant in our own way. Z was a teacher without an appreciation for student development and socialization. I was a new Christian on a high, believing that my spiritual status would by itself put me in right standing whatever I did. In the end, Z should’ve allow me to read my Bible, and I shouldn’t have confronted her based on her religious or non-religious beliefs. Our perspectives were half-baked, our stances too inflexible. I’m just glad that I’ve become a better person and Christian since those first days. Exposure to abuse, ridicule and scorn in fairly large dosages when you’re young will leave you with anger issues to manage. I should know. Don’t believe the impressions that my classmates from Humanities and MVHS and my friends from my first two years at Pitt have of me. I may have appeared to smile, to be happy-go-lucky, to be sober and monk-like. But mostly, I was angry, not in a raging, vengeful way, but in a depressed way, a constant, gnawing, sometimes envious, sometimes ironic and sarcastic way. My anger was the kind of anger that I chewed on and swallowed, simmered at low heat for a while in the pit of my belly, then I’d regurgitate it into my mouth, and then chewed on it and swallowed it again. But, despite what some folks in certain religious circles may say, not all anger is bad, evil or sinful. In fact, sometimes anger is necessary, even if and when it’s dangerous as an emotion or a state of mind. Why, you may ask? Because without anger, you take what life gives to you, even when most of what good you get out of life comes in a miserly and begrudging way. Everything else that comes, if indeed bad or evil for you, isn’t taken in stride or taken with difficulty. You simply don’t take it at all. You become so emotionless that whatever happens doesn’t matter at all, as if your purpose for existing is merely to exist, not to succeed, not to do good works or make yourself a better person because of or despite your circumstances. a day between ’81 and ’89. At the same time, I had the wisdom to allow my anger to rise up, to channel it many more times than not into what I needed to have happen at a particular moment in time. It’s amazing how much you can get done with a sense of righteous anger and indignation, a feeling of got-to-get-it-done-or-else anger. It came at the right time, usually when I felt that my back was up against a concrete wall, with no way out except to fight my way out. Like in February ’82, the middle of seventh grade, when I just got tired of my 7S classmates thinking that they could say and do anything to me without me getting angry, and tired of days on end at 616 without food to eat. After a fight in the boy’s locker room with one of my classmates — which I won, by the way — I channeled the energy unleashed by that rage and fight into two things. Improving my mediocre grades, and my infatuation over Crush #1. It was three months of relative bliss in the middle of the worst eighteen months of my life. Or in January ’88, after recovering from the crash-and-burn of my first semester at Pitt. I was mad and disappointed with myself over allowing my obsession with Crush #2 hijack the final six weeks of my semester, not to mention my generally hopeful and creative imagination. After an incident with a couple of my more evil and drunken dorm mates — one in which I cracked a broom handle on the crowns of their heads (no injuries or investigation, luckily) — I summoned some discipline and theme music to get through that second semester. From Richard Marx’s “Should’ve Known Better” to Paul Carrick’s “Don’t Shed A Tear,” I spent fifteen weeks turning anger into A’s and jadedness into new friendships. I’ve had other periods in my life — in ’93, ’98, and ’03 — where the circumstances dictated that anger, with some patience and understanding, was absolutely necessary in my overcoming of them. The lesson here is that anger — like fire, electricity and nuclear fusion — can be and is often dangerous. Yet it’s also necessary, a potential evil that can be an actual good, if channeled, allowed to dissipate, if tempered by wisdom and patience. At the least, anger allows those of us under stress to know that we are very much alive.